This is a long narrow prairie area on a steeply sloped south-facing hillside along the bottom of a hill. Above it is a thick aspen woods, below is a road that runs along the bottom of the valley. The prairie has never been plowed, and a few years ago it was planted with rows of pine trees. The trees are still quite small – just a few feet tall. The prairie area is about half a mile long and has several different kinds of areas. Some areas have mesic prairie vegetation, dominated by Big Bluestem with prairie flowers scattered through the grass. 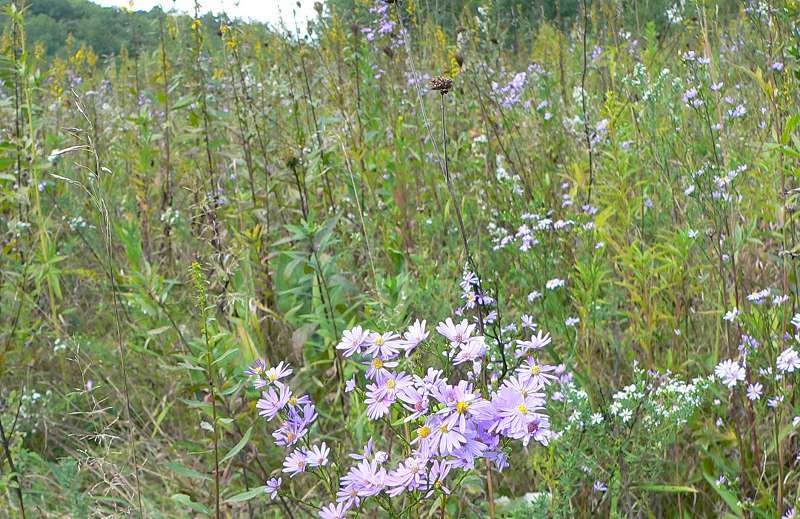 Other areas have almost no grasses, and have a thick growth of mostly asters and goldenrods. This is one of the areas with lots of asters and goldenrod but almost no grasses. I also saw many butterflies and other insects on the flowers. 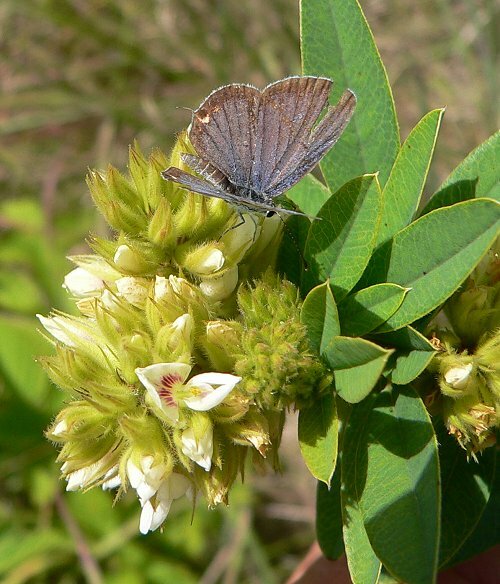 This is an Eastern-tailed Blue on Round-headed Bush Clover. Unfortunately, our friends sold this land, and a few years ago about half of Aster Prairie was plowed and planted with corn.